Bellator 158 took place on Saturday night at the O2 Arena in London, England and was headlined by former Bellator welterweight champion Douglas Lima securing a title shot against Andrey Koreshkov with a decision win against Paul Daley. The co-main event of the fight card was a heavyweight bout as Matt Mitrione improved to 2-0 in Bellator with a TKO victory in the second round against Oli Thompson. 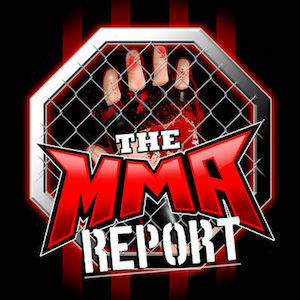 TheMMAReport.com has put together post fight statistics from Saturday’s fight card. Lima is now tied with Lyman Good for the third-most wins in Bellator welterweight division history and tied with multiple fighters for the fifth-most wins in Bellator history. Mitrione has won both of his fights in Bellator by TKO/KO and he is now tied for the third-most TKO/KO wins in Bellator heavyweight division history. Francis Carmont scored a D’arce choke submission win over Lukasz Klinger and this is the first submission win for Carmont since 2012 (vs. Karlos Vemola, UFC on FUEL TV 4). 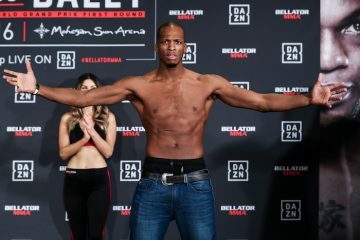 Michael Page remained undefeated with a knockout victory against Evangelista Santos and he is now tied with Andrey Koreshkov for the second-most TKO/KO wins in Bellator welterweight division history. With the victory over Santos, Page is now tied with Rick Hawn for the fourth-most wins in Bellator welterweight division history. 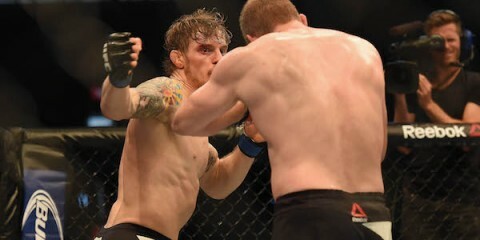 James Gallagher improved to 4-0 in his career with a decision win over Mike Cutting and this is the first time Gallagher has made it out of the opening round. 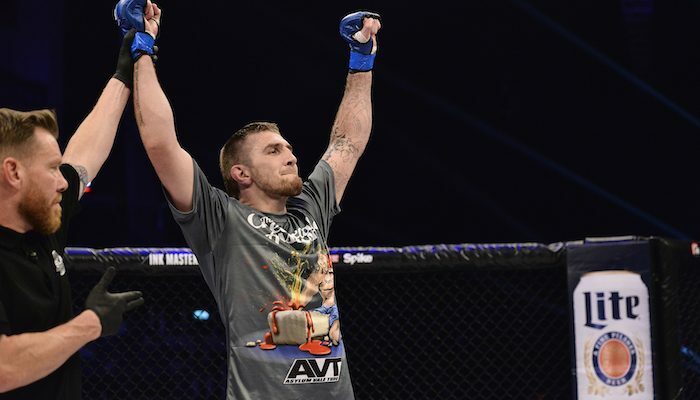 Danny Mitchell becomes the first fighter in Bellator history to win by Twister submission as he defeated C.J. Meeks. Jason Radcliffe now owns the fastest win in Bellator middleweight division history with a 14-second knockout against Jack Mason and this is now the seventh-fastest TKO/KO victory in Bellator history.